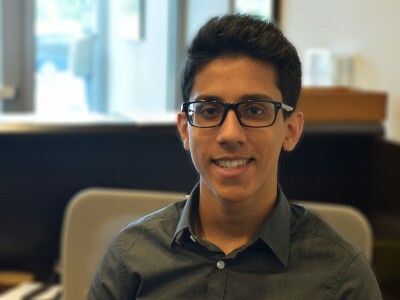 If you've stopped by the Chamber lately, or joined us at an event, you may have already had the privilege of meeting our student intern, Tim Zaman. Tim comes to us from Garland High School as part of the Career Prep Course led by instructor Jerri Scribner. Through a combination of classroom curriculum and real-world job experience, Tim is learning how to best prepare for his future. As such, one of his tasks was to reflect on the summer here at the Chamber and share with you all what he's learned in his first two months as an intern. Check out what he had to say below. "Like many sixteen-year-old students, when school let out for the summer, I began to search for a job where I could make a few bucks. However, when I found that I could only get a job delivering pizzas or working at the local grocery store, I knew I needed a little guidance to find a better fit. I enrolled in Garland High School’s Career Prep Course, where my instructor, Mrs. Scribner, The Business Career Preparation Coordinator, found an amazing internship opportunity with the Garland Chamber of Commerce. On June 22, I walked up to the Chamber’s front doors and mentally prepared myself for what was going to my first-ever day employed. However, my composure quickly went from confidence to panic because the doors were still locked; meaning I was stuck outside until our office manager, Diane, saw me and let me in. After that rocky start, I was introduced to the rest of the team in my first-ever staff meeting. Wasting no time, I was put to work doing mail merges, cutting postcards, and using the dreaded stamp machine, which never works when I come near it. All these things I learned were completely foreign to me, but it was only the beginning of what the Chamber has already been able to teach me. Like many young people, I had heard of chambers, but I had no idea about how they operated or what they actually were. After a few enlightening conversations with our CEO, Paul Mayer, I was better able to understand what a chamber is and how it helps the city. It takes great deal of planning to run a city. It is a mix of the right people who are dedicated to make their city a better place for everyone to live in. At the center of this is, are chambers of commerce, trying to keep the city economically balanced and giving businesses the necessary resources that they need to succeed. Here at the Garland Chamber we work in collaboration with all Garland’s community partners, including the businesses, the school district, the City and the community college- district, all working together to make sure the city of Garland is a great place to be for all ages, and I think we are doing a pretty good job. Not only have I learned about the Chamber and about the real workplace, but also about a tool called networking. For my generation, networking as become a somewhat mindless activity because of how connected we all are with social media. A common dialogue between us is, “Oh hey, you are so-and-so from Twitter,” which is great and all, people know who you are, but face-to-face interaction with people has become a lost cause with my age group. It is really a shame because it is the face-to-face interaction that makes the greatest impression. After only a few weeks of my internship, I have already made countless connections that could very well help me land a job in the future, because we all know it’s about who you know, and I’m fortunate enough to know the Garland Chamber. So the next time you are nearby, stop in and say hi to me, Tim Zaman, the new Director of First Impressions!"